- Midnight black candle, scented with frankincense, rosemary, sandalwood and clove. "I invoke the spirit to guide and protect me. My faith assures that only the positive may touch my being. I am safe and at ease in body and spirit." 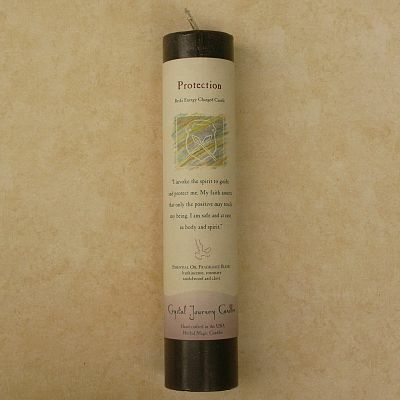 Do you have any other questions about our Reiki-Charged Protection Pillar Candle?